Updated: 5:30 p.m. | Posted: 1:30 p.m..
One of the most popular podcasts will come to public-radio audiences beginning this spring. The New York Times and American Public Media Group, MPR News' parent company, announced Tuesday they had reached a deal to distribute a version of the Times' "The Daily" weekday news podcast to stations across the country. "We know that our curious listeners want to better understand the complex issues of the world we live in, and the addition of this trusted name to our already strong portfolio helps us bring more in-depth, robust journalism to our audiences," APMG chief operating officer Dave Kansas said in a statement. The companies are keeping terms of the deal private. The agreement only allows APMG to distribute the radio version of The Daily — all digital assets will stay with the Times. The Daily is hosted by Michael Barbaro and has more than 4.5 million listeners each month. The podcast is currently available each weekday. Each episode features one or two top news stories of the day, told through audio features and interviews with Times reporters. 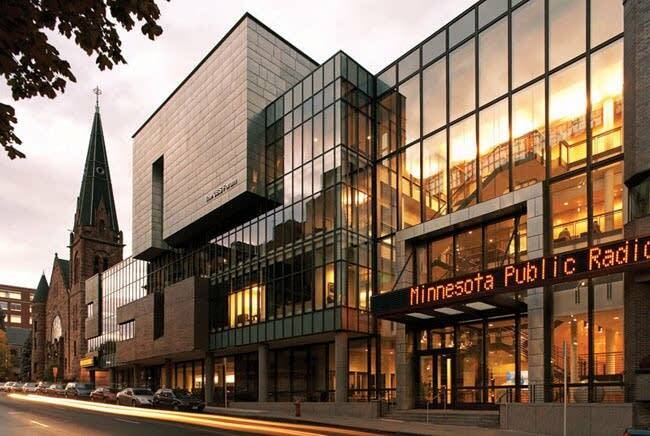 A 30-minute version of The Daily will air on MPR News at 6:30 p.m. beginning April 2, according to Nancy Cassutt, MPR News' executive director, with Marketplace airing at 6 p.m. It's unclear how many member stations will carry The Daily, but there has been a "great reception" so far, said Shona Koester, APMG's vice president for distribution and content partnerships. The deal has been in the works for more than four months, starting when a Times representative reached out to Kansas to say the newspaper was interested in partnering with public media to distribute The Daily. Koester said The Daily's production team has been piloting radio shows "for a while." She said The Daily is different from many podcasts in that it has a sound that's also suited for the air. "It feels more natural for public radio because it has a level of storytelling to it and a sound that already feels quite natural without a lot of tweaking," she said. Public radio companies face increasing pressure to adapt in a media landscape that's moving more toward online and podcast news sources, but Koester said the deal with the Times does not mark a strategic shift for APMG. "I don't think this means, at all, that APM has a new strategy around podcasts or that APM has a new strategy around radio," Koester said. Any future partnerships would be evaluated on a case-by-case basis, Koester said, adding that nothing similar is in the works.